In aedibus Thomae Bertheleti [imprints vary], London, 1544. 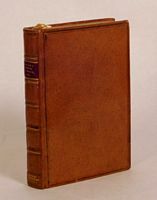 The collection of highly practical treatises designed for justices of the peace, sheriffs, bailiffs and other local officials, this being the edition selected by Holdsworth as representative, its contents termed "a useful handbook [and] essential"
Printed for Humphrey Tuckey at the black spread Eagle [both works, London, 1658 & 1657. Printed for Humphrey Tuckey at the black spread Eagle [etc. ], London, 1659. Imprinted at London . . . by Richard Tottil [etc. ], London, 1559. Prentice-Hall, Inc., Englewood Cliffs, 1959. Bender-Moss Company, San Francisco, 1911. Printed by T.M. for W. Lee, D. Pakeman and G. Bedell [etc. ], London, 1655. 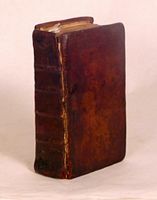 Only edition of a work prepared by an anonymous barrister, based on a manuscript whose contents are said to be unique and "a faire, polished, and intire body of itself, framed by several sages of the Law, of great Integrity, and Experience"
Printed for R.V. 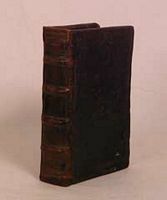 and Sold by R. Gosling [and one other], London, 1709. Printed by E. and R. Nutt, and R. Gosling . . . for J. Hodges &c, London, 1740. Printed by William Brown and John Mosman [etc. ], Edinburgh, 1727.